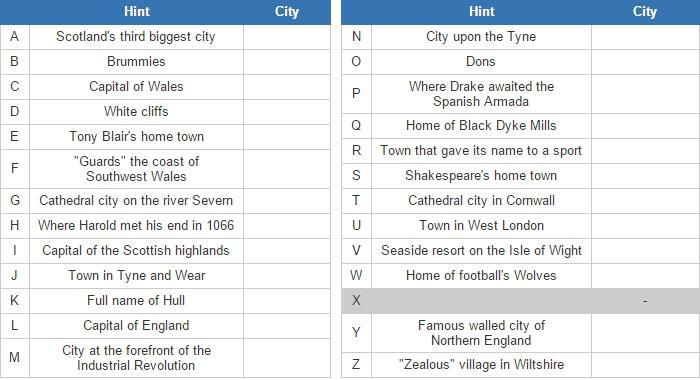 Based on the clues, name these English, Scottish and Welsh settlements starting with each letter. If multiple cities fit the clue, guess the more prominent one. Includes cities, towns, and villages!